Createspace Independent Publishing Platform, 9781537740911, 158pp. 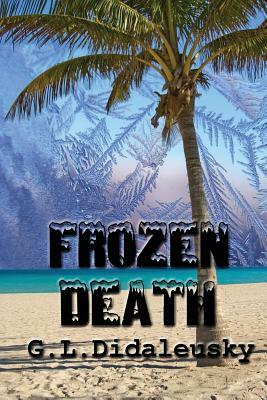 Something is causing people to freeze to death in Florida during ninety-degree weather. Ancient Indian lore holds the answer to these mysterious medical aberrations. A newly constructed Florida male prison sits on ancient hallowed grounds called Forbidden Hill. Soon after the prison opens, two male inmates freeze to death without exposure to frigid temperatures. John Randall, a widowed prison doctor, meets Lena Windmaker, a single, off-duty sheriff detective at a local library. Their initial plutonic relationship soon kindles into a more amorous one. They hide a personal secret that could bring them together or destroy them. They uncover articles in local, post-Civil war newspapers describing residence succumbing to Frozen Death. John and Lena race to discover a cause before it chooses other victims. Greg Didaleusky has a teaching degree in Unified Science from Wayne State University and a degree from the University of Detroit-Mercy (Physician Assistant Program). He lives with his wife, Holly, in Florida. He has published several short stories.